alaTest has collected and analyzed 1897 reviews of Apple iPhone 8 Plus. The average rating for this product is 4.7/5, compared to an average rating of 4.3/5 for other Cell phones for all reviews. People really like the design and usability. 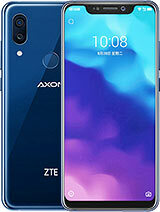 The size and camera are also mentioned favorably, whereas some have doubts about the connectivity. There are mixed opinions on the portability and price. We analyzed user and expert ratings, product age and more factors. Compared to other Cell phones the Apple iPhone 8 Plus is awarded an overall alaScore™ of 94/100 = Excellent quality. It's just as fast as the iPhone X, has a longer battery life, and, well, it still has the home button. The iPhone 8 Plus is still a great pick for anyone not ready for Face ID, but expect an update in the next few months. Fantastic dual-lens camera shoots better than ever with improved portrait mode. Adds wireless charging. Fast speed. Starts at 64GB. Best battery life in the current iPhone line. Still has a home button if that's important to you. Dated look. Lacks some of the extra iPhone X camera features. Large body makes it hard to hold. Fantastic dual-lens camera shoots better than ever with improved portrait mode. Adds wireless charging. Lightning-fast speed. Starts at 64GB. Best battery life in current iPhone line. Dated design. Lacks some of the extra iPhone X camera features. Large body makes it hard to hold. 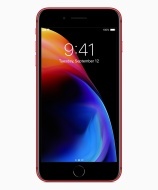 Apple launched a special edition of the iPhone 8 and iPhone 8 Plus smartphones in corporation with the Global Fund RED.